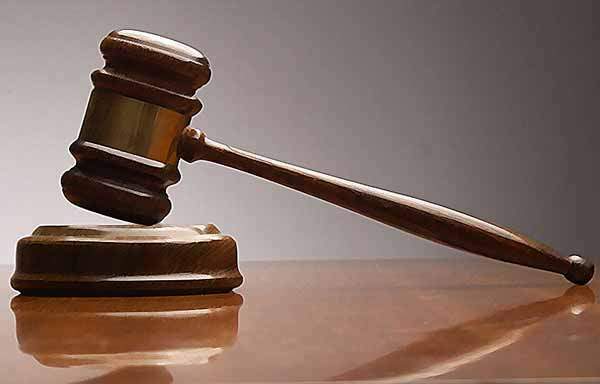 The Balaka First Grade Magistrate court has sentenced a 53 year old Malawian man to 8 years imprisonment with hard labour for defiling his four year old granddaughter. State Prosecutor, Sergeant Aida Mzama, told the court that the suspect, Greev Chimutu, committed the offence on 26th October, this year at M’mangeni village in Balaka. Mzama went on to inform the court that the victim met her fate when she was left with the suspect after her mother we nt to receive relief items which were being distributed by Concern Universal in the area. Upon arriving home, the mother was surprised to hear her daughter crying from Chimutu’s bedroom, and when she went to the scene, she saw Chimutu coming out of the bedroom with his trousers down. Appearing before the Balaka First Grade Magistrate court, the suspect pleaded guilty to the charge of defilement of girls under the age of 16 which is contrary to section 138(1) of the Penal code. In mitigation, the suspect asked for forgiveness saying that he is the only elder person at his home and he looks after orphans. Passing judgment, First Grade Magistrate Felix Mandala sentenced Chimutu to 8 years imprisonment with hard labour considering that the convict is a first offender and that he pleaded guilty to the charge. Chimutu comes from M’manga village, in the area of Senior Chief Nsamala in Balaka district. Seriously? Like whaaaaa? For sweetness tha last just few seconds?. Atisiliye achnyamata zimenezo mwina…proud of miself-21years still virgin! de world hz come to an end. Winawe nkumanyoza mahule. mukapsa! ntchito yotamandika amaigwira mahule palibeso. madala awawa sakanamangidwa lero chikhala akapita nkukapeza helopu. ur grand daughter,really?koma men eeeeish dnt u see prostitutes arund? Mpaka 8 yrs, mwayamba kuopa kuweruza milandu a makhothi eti? K50, 000, fine plus 15years in prison with hard labour not 8 years.Eish!. Nkhani ndiyoti munyozeni,sim’mangothamangira ponyoza akumpoto! !tchimo lili paliponse nde zomanyoza mitundu ya anzanu zithe!! Amara osangoremba in chichewa Bea? The sentence is ridiculous. Only 8yrz. Thus why i like Billy of Nkhata Bay. This idiot deserves 14 yrz or more. nkhalamba zamchiuno zimenezi zofunika kuwumbuza ndikudulako chomwechinamutumacho kuti asadzapangeso ationongela ana. Iyeyo ngat snamufkapo..,osakangotenga hule bwanj?? Yeah Death sentence baxi…he doesn’t knw labour ndikanakhala kuti wagwililira wanga,pokafika Ku police bwezi alibe zamutumazo sure ndithu.. Size 10 kulowetsa mkansapato ka size 1…… Usawi chichi ? ameneyo satha kufusira akanawuza ine ndimupezere wa zaka 84 kusiana ndi ucitsiru wachitawu.awonjezere zakazo *10. Chmakhala chyan koma? Ufiti kapena aiyaiya dzaka 8 zachepa ndthuuuu,,,,,,,,,! Nanunso2 pena musamanamepo apa, 53÷4=?, olo Umveeewoo nde Zanyanya2 eiiiiishhhhhhhh!!! Why you chewa people do this atrocities.why giving him Only 8 yrs intead of 2 life terms . pliz just coment without insulting other tribes. 8years only. anakapasa 25yrs. ameneyo.azatuluke atakalamba. Kma A2 Ena Kuzchosa Ulemu Inu. 53 yrs old? Mahule buanj…? Mpaka 1yr old, murder-tu imeneyi. Maximum imprisonment, plz!!! Kkkkkkkk, koma tiuzen zoona zinathekapo pamenepo 4yz zimatothekayeti! Kukhwima kumeneku mudulen shaft yakeyo asadzayambilenso.